Rowanna’s stern caretaker, Mellwyn, has warned her again and again not to go near the trees that surround their seaside cottage. But Rowanna is drawn to the forest—especially the HighWillow on its faraway hill. Are the trees really forest ghouls, as Mellwyn says? Or could they possibly hold the secret to Rowanna’s past and the mother she can hardly remember? 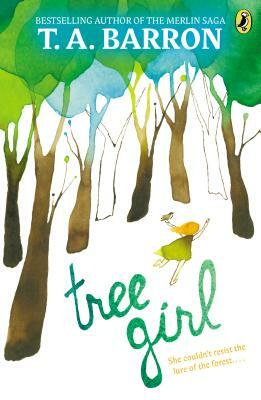 If only she could get near the High Willow, Rowanna feels certain she would understand. . . .
With its timeless forest setting and charming, whimsical characters, Tree Girl is a perfect introduction to fantasy for young middle-grade readers, from a true master of the genre. T. A. Barron (www.tabarron.com) lives in Boulder, Colorado and is the founder of the Gloria Barron Prize for Young Heroes, which honors outstanding young people.